Does your website perform well in search engines? Are you not getting much traffic from natural search? Let me help you get the traffic you need to succeed. An SEO Content Audit includes the following consideration to get your website extensive exposure and more importantly, clicks. Website Architecture – Can Google read your website? Indexation – Is the website in Google’s index? Copy – Is your message consistent and keyword specific across all page elements? Does anyone know about it socially? We’ll give you a detailed report on all aspects of your website’s current performance and recommendations to get your website on track. You can then have me implement the recommendations or decide to do them on your own. Remember to set a goal for your website to accomplish within one year of implementation. 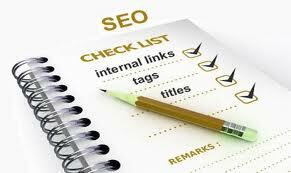 Natural search engine optimization is a long-term strategy that takes time to realize results, ie growth. I promise it will not occur overnight unless you get a million links over a couple days. Implementation Fee: Let’s talk – depends on what your website needs and how big it is. Contact me here about your next project, SEO challenges, new website or internet marketing strategies.